The Satisfiability Modulo Theories (SMT) solver Z3 can generate proofs of unsatisfiability. We present independent reconstruction of unsatisfiability proofs for bit-vector theories in the theorem provers HOL4 and Isabelle/HOL. Our work shows that LCF-style proof reconstruction for the theory of fixed-size bit-vectors, although difficult because Z3’s proofs provide limited detail, is often possible. 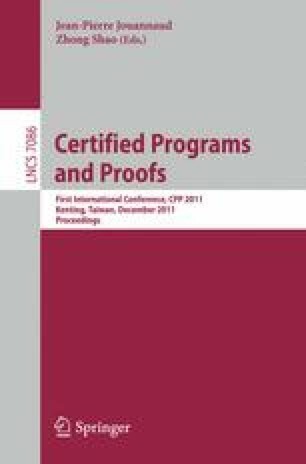 We thereby obtain high correctness assurances for Z3’s results, and increase the degree of proof automation for bit-vector problems in HOL4 and Isabelle/HOL.